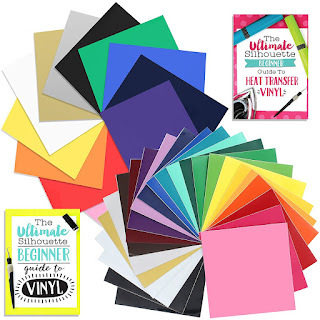 We've all been there - you print on a piece of printable material (sticker paper, printable htv/vinyl, or transparency) and then you end up throwing the rest of the piece out. 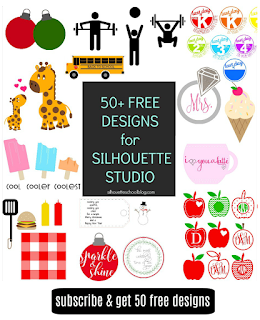 Today Silhouette School weekly contributor Becky is here with a clever trick for maximizing scraps after you print and cut on them! 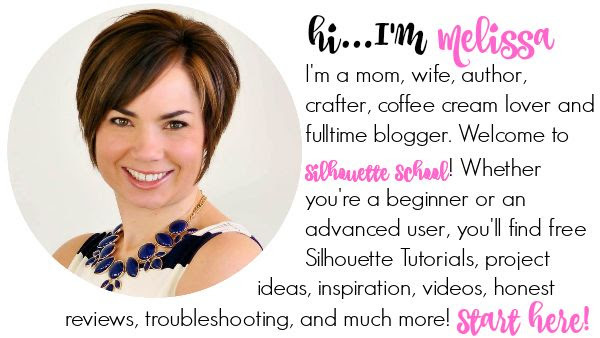 Today I'm sharing a Silhouette tip rather than a full blown tutorial. Many of you may have already figured this out but for me it was one of those "ah ha" moments. 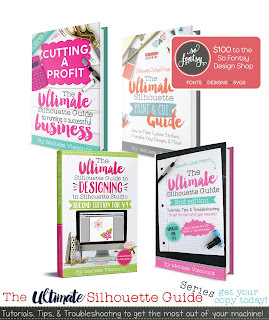 I love being able to put together a quick last minute gift using printable media. I've used printable vinyl, white and clear sticker sheets, transparencies and heat transfer material but I'm sure there are a gazillion more materials that I haven't discovered yet. My only hang up is that once I print my full sheet with the registration marks it can't be put through the printer again because the registration marks won't line up. This means I have to fill up the page with designs or all the blank space on the sheet is wasted. At that point my quick last minute gift turns into a huge time guzzler. hoardingsaving for a rainy day. And that's when it hit me. My printer settings adjust to accommodate various paper sizes including 4" x 6" (and other various sizes!). That's when it hit me - cut the scrap to size, print on it and then use Pixscan to cut it! And that means no registration marks are required! I pulled out my handy dandy paper cutter and cut the scrape of printable vinyl to 4" x 6". I adjusted by printer settings to accommodate the smaller size material and then printed my image. 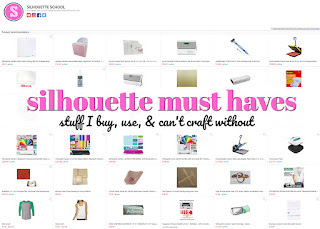 I then followed Melissa's post Silhouette PixScan Tutorial for Beginners. 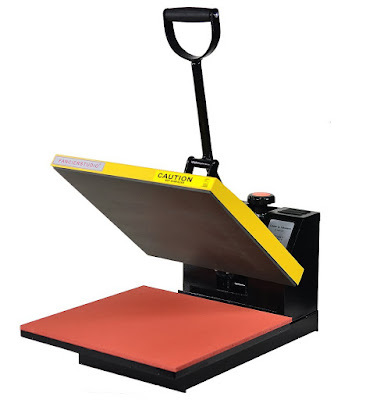 And yes, I confess, I had never used my PixScan mat before this (yikes!). Her step by step instructions made this so easy. The short of it is: I placed by printed image directly onto the Pixscan mat and took a picture of the entire mat. The image was imported it into Silhouette Studio using the Pixscana tool in Silhouette Studio. I simply traced the outer edge of the design, since I was working with a simple rectangle, in this case. Without moving my image on the mat I loaded the PixScan mat into the Silhouette CAMEO and got the perfect cut. Excited by my first successful experiment, I tried it again with a small piece of transparency I had left from making Floating Christmas Ornaments. Even the transparency printed perfectly at this size. I can't tell you how many times I cut one template for an ornament and threw out the rest of the sheet - and these transparencies can be expensive! 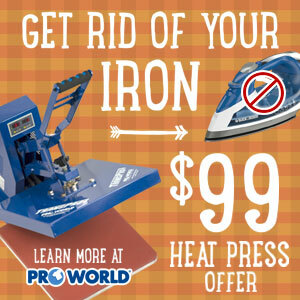 So now you really have a reason to save your scraps - and some money! When you can't print registration marks, you can always print and use Pixscan for scraps! I got a Pixscan mat for Christmas. I can definitely see using it for this because, like you, I have used my head (and time) to come up with other designs, just so I can use an entire sheet of cardstock. This is an excellent tip - thanks for sharing! I guess I am just frugle I wouldn't throw my scraps out and may that came from doing a scrapbook or making cards, before I ever used vinyl. Save your scraps you use them later. ......Nice wine bottle cover. Do you know you can move the registration marks just about anywhere on a page? I routinely print on scraps. You can easily fool a top-load printer by placing the design in the top left corner of a regular page and loading your small piece to the far right. A front-load computer is a little trickier, but can be done. True, but with the pixscan you can print right up to the edge of the piece, with registration marks I think you need to allow some space around the edge for them, don't you? And if you're really into making the most out of your scraps...tape them down (invisible tape seems to work best, but I have used repositionable adhesive in a pinch) to a piece of cardstock or copy paper, then remove and put it on the pixscan. If you're worried about placement, do a draft print on a piece of regular paper, to give you a guide for where to tape down your printable media. Just avoid placing the tape where the printing will be.